NASA's Cassini spacecraft will be swooping close to Saturn's moon Rhea on Saturday, March 9, the last close flyby of Rhea in Cassini's mission. The primary purpose will be to probe the internal structure of the moon by measuring the gravitational pull of Rhea against the spacecraft's steady radio link to NASA's Deep Space Network here on Earth. 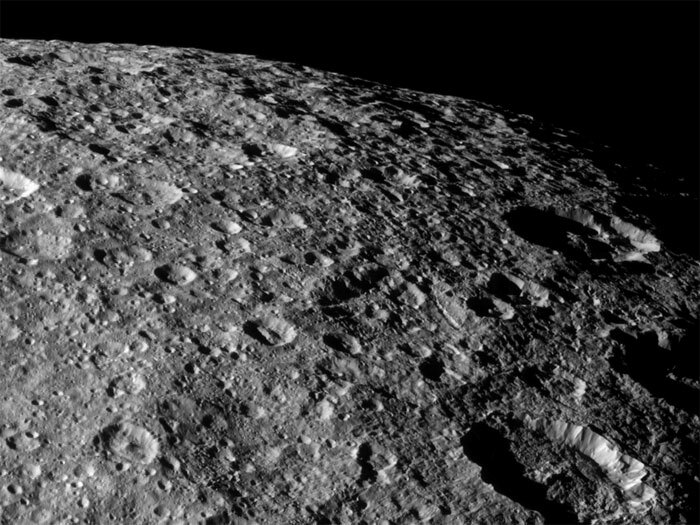 The results will help scientists understand whether the moon is homogeneous all the way through or whether it has differentiated into the layers of core, mantle and crust. In addition, Cassini's imaging cameras will take ultraviolet, infrared and visible-light data from Rhea's surface. The cosmic dust analyzer will try to detect any dusty debris flying off the surface from tiny meteoroid bombardments to further scientists' understanding of the rate at which "foreign" objects are raining into the Saturn system. Cassini will fly within about 600 miles (1,000 kilometers) of the surface. The time of closest approach is around 10:17 a.m. PST (1:17 p.m. EST). 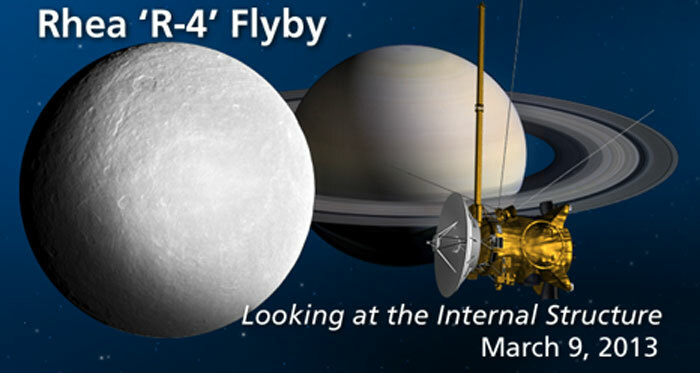 This is Cassini's fourth close flyby of Rhea. On Feb. 10, 2015, Cassini will pass Rhea at about 29,000 miles (47,000 kilometers), but this is not considered a targeted flyby. Cassini has been in orbit around Saturn since 2004 and is in a second mission extension, known as the Solstice mission. Cassini looks over the heavily cratered surface of Rhea during the spacecraft's flyby of the moon on March 10, 2012. See PIA08909 and PIA06553 to learn more about the impacts that have shaped the surface of Rhea (949 miles, or 1,528 kilometers across). This view is centered on terrain at 58 degrees north latitude, 84 degrees west longitude on Rhea. 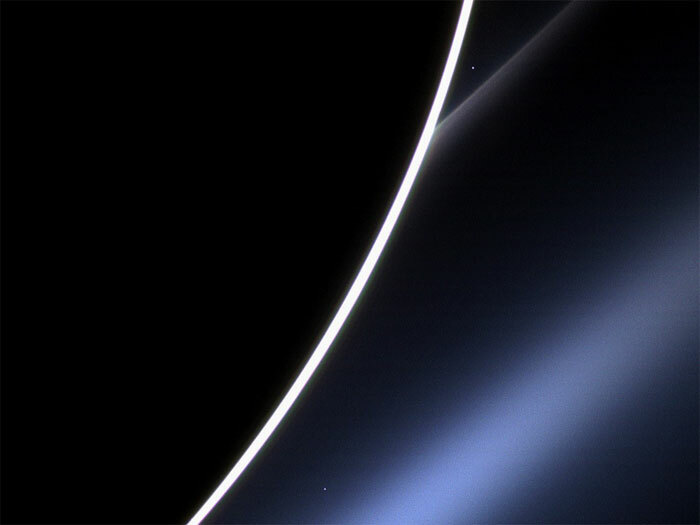 The image was taken in visible light with the Cassini spacecraft narrow-angle camera. The view was obtained at a distance of approximately 27,000 miles (43,000 kilometers) from Rhea and at a Sun-Rhea-spacecraft, or phase, angle of 67 degrees. Image scale is 827 feet (252 meters) per pixel.